In normal years, Republicans vote Republican, Democrats vote Democrat and Libertarians vote Libertarian. These are not normal times. Our nation faces serious economic and socials issues that need to be addressed by candidates who reflect our views and not just political affiliation. 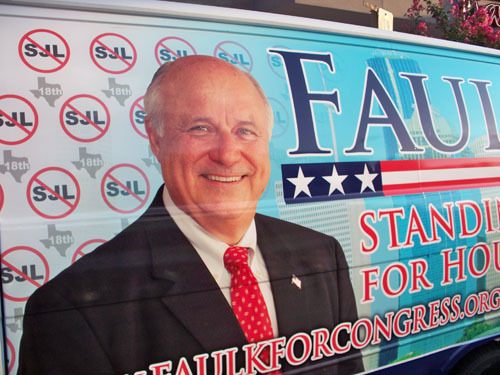 For Republican Candidate John Faulk to win the Texas 18th Congressional District he must win the trust of all three of these parties and most importantly the Independent Voter. The incumbent, Sheila Jackson Lee is literally the poster child for the liberal programs we must defeat. For this to happen, voters must take a serious look at what is important to them and who has the best opportunity to win the election and take that message to Washington DC. It requires intellectual honesty with one’s self. Something that can be very difficult when engaged in partisan political contests. In a strategy to win the 18th, this is a key component. 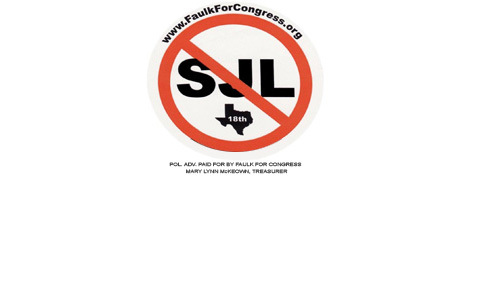 One we will be exploring in future articles as the Faulk for Congress campaign moves forward to retire Sheila Jackson Lee.